Don't think of fat as a four letter word. 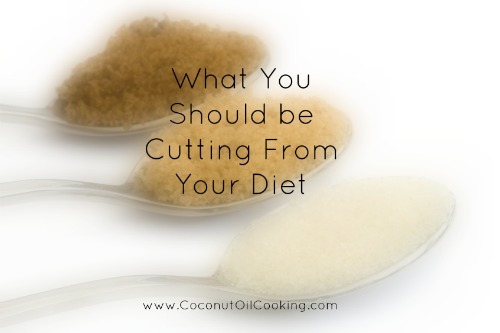 Instead, opt for cutting out refined sugars from your diet for a healthier you. For the next 40 days, people across the globe are giving up something for Lent. This year, what if you gave up something for good? Like processed sugar? While many people thing fat is the villain in their diets, it’s actually sugar that is linked to more disease and obesity. Kriss Gunners, from Authority Nutrition, recently wrote an article about what’s really wrong with the American diet. His first thing – sugar. Over the past 160 years, we’ve drastically increased our consumption of refined sugars – up to 500 calories a day from the stuff! Gunners says this change hs been linked to an increase in obesity, type 2 diabetes, and other disease. But it’s not just cookies and cakes – we’ve also had as steady uptick of soda and fruit juice. If you’ve ever looked at the back of the labels on those – you can see just how much sugar is in each serving. 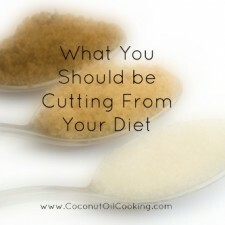 Perhaps most importantly, we’ve replaced natural sources of fat, like coconut oil, with highly processed vegetable oils. A lot of this started when claims started to surface that fat lead to heart disease. Now, recent studies show this isn’t the case. Another big issue is processed food. Sure it’s convenient, however it’s really taking a toll on our bodies. If you have to choose a pre-packaged food, choose something with the least amount of ingredients. Here are some of our favorite “real foods” that are so delicious – you won’t even miss store-bought variety. So here’s to challenging yourself to a better you for Lent.